Older homes have a lot of charm and personality, but they can also present some problems that all the personality in the world couldn’t compensate for. This leads you down the road of updating, modernizing, or even a major renovation. Some problems in an older home can be quick and simple DIY fixes, while others can become costly headaches. If you’ve already bought your new home, the sticker price of some of these common updates may set you back. However, if you’re starting in the market, you’ll know what to ask of your realtor, current homeowner, and contractor/inspector. Let’s look at the six most commonly needed updates for older homes. Take a peek inside your home’s walls. You’ll see little to no insulation. That can mean a cold, drafty home and sky-high heating and cooling bills. However, the solution is fairly simple: blown-in insulation. There’s even a recycled denim that eliminates any worries you may have about foam and its chemical components. 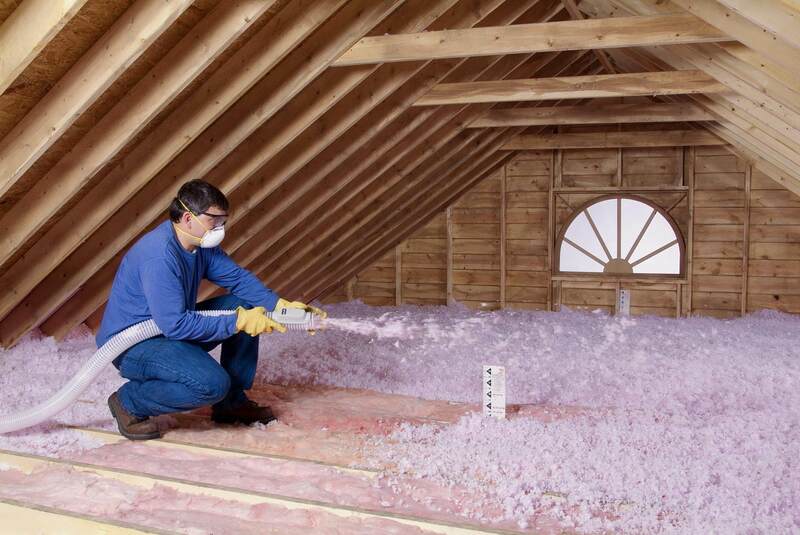 Blowing some insulation into your walls is fairly easy, quick to do, and will save you a great deal of money—and shivering—in the future. This is one of the great boogie men of older homes. Fortunately, most asbestos is perfectly harmless as long as it doesn’t become airborne. Keeping it contained is the best thing to do. Old insulation in walls and attics? Leave it be. Cover it over with new insulation. It will be fine. Asbestos ceiling tiles or siding? Same thing. Leave them alone and cover them up. Asbestos in your duct work? Bad. Very bad. That will require the services of a professional asbestos removal firm. Check where the asbestos is located, what can be done about it, and go from there. Also, make sure that the proper tape and/or materials are used when sealing your ducts from asbestos and other contaminants. Lead paint is the other big, bad boogie man of older homes. However, like asbestos, lead paint can sometimes just be left alone. Lead paint isn’t a problem until it starts to chip or flake off. 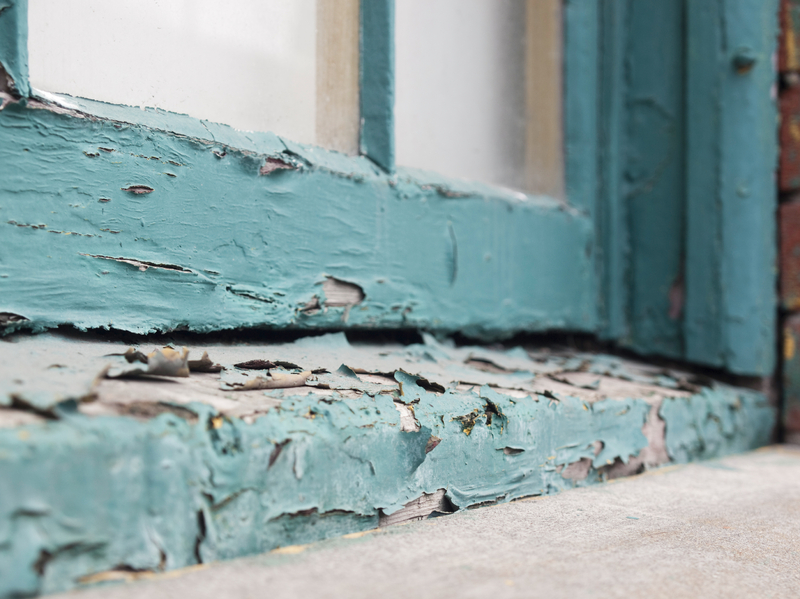 If your home potentially has lead paint just keep an eye out for chipping, peeling, or flaking. Lead paint should only be removed by professionals so as not to fill your home with a cloud of harmful lead paint particles. Never sand or strip walls that may be coated with lead paint. Get professional help, and if you aren’t sure, call in a pro before you start. Better safe than sorry. Old wooden windows add charm and style to your home, but they also let in a ton of outside air. Those beautiful old doors in their heavy frames can be another source of lost heat, and let’s not forget improperly insulated electrical outlets, often installed years after the home’s construction. Thankfully, most of these fixes can be done on your own. Some weather stripping, some caulking, some investigating with an infrared thermometer, and you are all set for a snug winter in your home. These three really tie for last place. 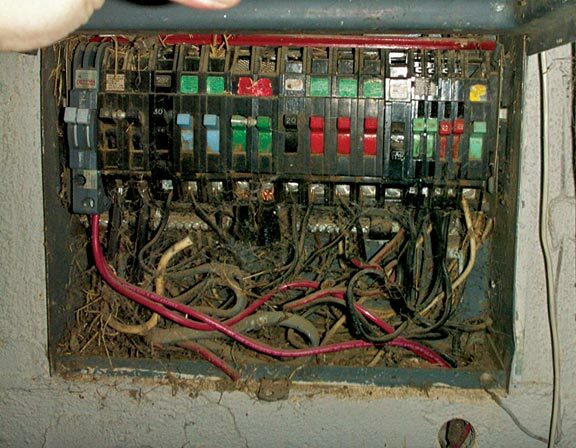 Older wiring can be downright dangerous. Older plumbing can have your wallet floating away with each water-logged call to the plumber. Older heating and cooling systems can be hugely inefficient and costly. If you are looking to buy an older home, you might be able to get the seller to spring for updates if you adjust your buying price enough. If you already own the home, tackle these in stages, updating what you can when you can. Updating your plumbing, electrical, and HVAC systems will not only make your home more comfortable, but also take a load off your wallet in the long run. Many old homes have single-glazed or metal-framed windows that are inefficient. Retrofitting windows is an easy way to make homes more efficient and even block out outside noises. Block frame windows fit right in the old wood frame opening and retrofit windows with a stucco flange are designed to replace metal-frame windows. Little or no drywall, stucco repair, or painting is required. Owning an older home can be a source of pride and pleasure, and taking care of as many updates as possible, as quickly as possible, can increase both for years to come.